This article is about the meta-ethical theory. For the divine command theory of happiness, see Positive psychology. Divine command theory (also known as theological voluntarism) is a meta-ethical theory which proposes that an action's status as morally good is equivalent to whether it is commanded by God. The theory asserts that what is moral is determined by what God commands, and that for a person to be moral is to follow his commands. Followers of both monotheistic and polytheistic religions in ancient and modern times have often accepted the importance of God's commands in establishing morality. Numerous variants of the theory have been presented: historically, figures including Saint Augustine, Duns Scotus, and Thomas Aquinas have presented various versions of divine command theory; more recently, Robert Merrihew Adams has proposed a "modified divine command theory" based on the omnibenevolence of God in which morality is linked to human conceptions of right and wrong. Paul Copan has argued in favour of the theory from a Christian viewpoint, and Linda Zagzebski's divine motivation theory proposes that God's motivations, rather than commands, are the source of morality. Various forms of divine command theory have been presented by philosophers including William of Ockham, St Augustine, Duns Scotus, and John Calvin. The theory generally teaches that moral truth does not exist independently of God and that morality is determined by divine commands. Stronger versions of the theory assert that God's command is the only reason that a good action is moral, while weaker variations cast divine command as a vital component within a greater reason. The theory asserts that good actions are morally good as a result of their being commanded by God, and many religious believers subscribe to some form of divine command theory. Because of these premises, adherents believe that moral obligation is obedience to God's commands; what is morally right is what God desires. ↑ Not to be confused with medieval theological voluntarism and theological voluntarism as an approach to natural philosophy. ↑ Austin, Michael (21 August 2006). "Divine Command Theory". Internet Encyclopedia of Philosophy. Retrieved 3 April 2012. 1 2 Austin, Michael W. (21 August 2006). "Divine Command Theory". Internet Encyclopedia of Philosophy. Retrieved 15 August 2012. ↑ Swinburne, Richard (2007). Revelation: From Metaphor to Analogy. Oxford University Press. pp. 358–359. ISBN 978-0-19-921246-0. ↑ Williams, Thomas (31 May 2001). "John Duns Scotus". substantive revision 23 December 2009. Stanford Encyclopedia of Philosophy. Retrieved 6 April 2012. 1 2 3 Austin, Michael (21 August 2006). "Divine Command Theory". Internet Encyclopedia of Philosophy. Retrieved 3 April 2012. 1 2 Austin, Michael W. (21 August 2006). "Divine Command Theory". Internet Encyclopedia of Philosophy. Retrieved 18 August 2012. 1 2 Copan, Paul, and William Lane Craig. Passionate Conviction: Contemporary Discourses on Christian Apologetics. Nashville, Tennessee: B&H Publishing Group, 2007. 91. ↑ Toner, Christopher (1 September 2010). "Zagzebski, Linda Trinkaus. Divine Motivation Theory. (Book review)". The Review of Metaphysics. Retrieved 25 August 2012 – via HighBeam. (subscription required (help)). ↑ Dougherty, M. V. (2011). Moral Dilemmas in Medieval Thought: From Gratian to Aquinas. Cambridge University Press. pp. 163–164. ISBN 978-1-107-00707-9. ↑ Harris, Harriet (2011). God, Goodness and Philosophy. Ashgate Publishing. p. 101. ISBN 978-1-4094-2852-7. ↑ Austin, Michael W. (21 August 2006). "Divine Command Theory". Internet Encyclopedia of Philosophy. Retrieved 18 August 2012. 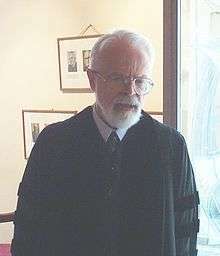 Adams, Robert Merrihew (2002). Finite and Infinite Goods: A Framework for Ethics. Oxford University Press. ISBN 0-19-515371-5. Baggett, David; Walls, Jerry (2011). Good God:The Theistic Foundations of Morality: The Theistic Foundations of Morality. Oxford University Press. ISBN 9780199751808. Chandler, Hugh (2007). Platonistic And Disenchanting Theories of Ethics. Peter Lang. ISBN 978-0-8204-8858-5. Connolly, Peggy; Keller, David; Leever, Martin; White, Becky Cox (2009). Ethics In Action: A Case-Based Approach. John Wiley & Sons. ISBN 978-1-40517-098-7. Evans, C. Stephen (2004). Kierkegaard's Ethic of Love: Divine Commands and Moral Obligations. Oxford University Press. ISBN 0-19-927217-4. Greirsson, Heimir; Holmgren, Maragaret (2010). Ethical Theory: A Concise Anthology. Broadview Press. ISBN 978-1-55481-015-4. Harris, Michael (2003). Divine Command Ethics: Jewish and Christian Perspectives. Psychology Press. ISBN 978-0-415-29769-1. Helm, Paul (1981). Divine Commands and Morality. Oxford University Press. ISBN 0-19-875049-8. Kowalski, Dean (2011). Moral Theory at the Movies: An Introduction to Ethics. Rowman & Littlefield. ISBN 978-1-44221-455-2. Langermann, Tzvi (2011). Monotheism & Ethics: Historical and Contemporary Intersections among Judaism, Christianity and Islam. BRILL. ISBN 9789004194298. Martin, Michael (1993). The Case Against Christianity. Temple University Press. ISBN 978-1-56639-081-1. Phillips, D. Z.; Tessin, Timothy (2000). Kant and Kierkegaard on Religion. Palgrave Macmillan. ISBN 978-0-31223-234-4. Rae, Scott (2009). Moral Choices: An Introduction to Ethics. Zondervan. ISBN 978-0-31032-323-5. Shermer, Michael (2005). Why People Believe Weird Things. Henry Hold & Company. ISBN 0-8050-7769-3. Morris, Thomas (1988). Divine & Human Action. Cornell University Press. Being and goodness. ISBN 0-8014-9517-2. Pojman, Louis; Rea, Michael (2008). Philosophy of Religion: An Anthology. Cengage Learning. ISBN 978-0-495-09504-0. Quinn, Philip (2000). The Blackwell Guide to Ethical Theory. Blackwell Publishers. Divine command theory. Swinbure, Richard (1977). The Coherence of Theism. Clarendon Press. ISBN 0-19-824410-X. Wainwright, William J. (2005). Religion and morality. Ashgate Publishing. ISBN 978-0-7546-1632-0.